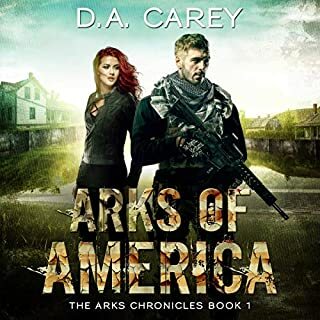 A reedited and reformatted beloved classic story about one prepper's apocalyptic journey and the continuing adventure of going home after a disaster. A solar storm has just unexpectedly hit Earth"s magnetosphere causing an EMP event. An emergency manager visiting Atlanta, Georgia on a job interview must find his way back home penniless and unprepared. Packed full of good information. North Korea has taken down many of the electrical grids worldwide with cyber and terrorist physical attacks, and it's lights out for America and her allies. Our stalwart survivors team up with others to defend what they have and bravely forage out to scavenge what’s left of society in a coastal city. Supplies are low, food is disappearing at an alarming rate, and game is getting scarce as desperate people do even more desperate things to survive. Julie Atwood is struggling with the day-to-day challenges of being a single mom. She is recently divorced, financially stressed, and still reeling from a violent attack in her past. She is determined to make it on her own, however. She learns self-defense skills and enrolls in a women’s-only firearms class. The urgency of her efforts takes on new importance as society begins unraveling around her. Conservatives and liberals are at war. Then the president cuts funding to so-called Sanctuary States, including her home state of Oregon. Julie loses her job. Everyone who lives off the government gets desperate. Riots. Crime. Fire. After a cyber attack and wide spread sabotage by terrorists took out the United States' electrical grid, one group of survivors found themselves far worse off than the rest of the populace. This group found themselves stranded on an island with no way to cross the flooded river and soggy lands surrounding them as starvation and desperation began. The one thing they had going for them, though, to get themselves through this ordeal, was that they were preppers - people who prepare for disasters as a lifestyle or hobby. No one, however, had foreseen this event and circumstances, and at the forefront of everyone's minds was when they did eventually get off this Castaway Island, what then? The world was an apocalyptic nightmare of raging fires, famine disease, and violence as societal breakdown took its course. New optimal labor arrangements must be made; new solutions to old problems like raising enough food to feed themselves must be sought. 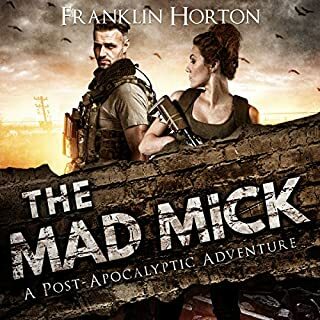 Through a crazy, mixed up and often humorous turn of events the survivors find themselves trying to revitalize an old run down southern plantation. Can they do it? Could You? 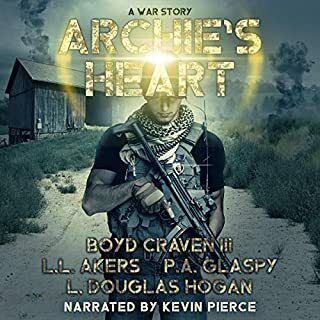 This audiobook contains all three books of the A Prepper Is Cast Adrift series. 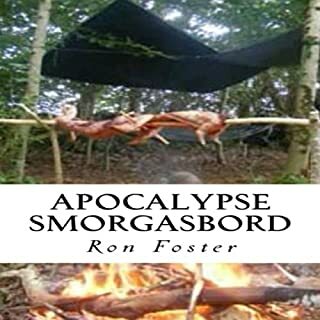 The book teaches you survival tips and tricks as it entertains. So much free knowledge. Thank You. 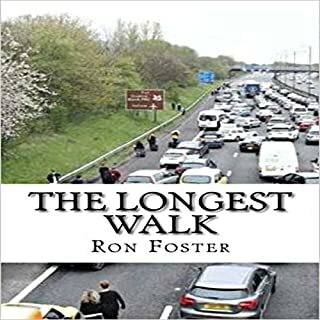 Ron, yet another great story and packed with so much free information. I have learned so much from your writings. I would like to meet you one day and shake your hand. A must read for the prepper. Loaded with handy facts and ideas even if the excrement never hits the rotating blades. 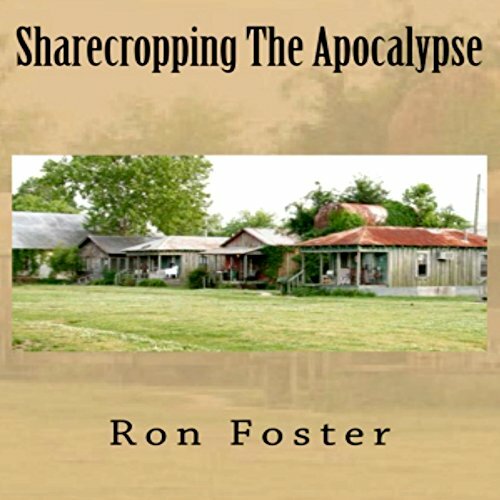 What made the experience of listening to Sharecropping the Apocalypse: A Prepper Is Cast Adrift the most enjoyable? Hillbillies Clem and Bertha were so enjoyable I wanted a whole book just about them. I laughed more at these two wonderful characters than anyone in my last 125 books. When the story switched to the fantastic adventure on Clem's plantation. This is one long product placement. I like to hear which brand or style of equipment is chosen and why but I find it jarring when the narrator stops to say, "Use discount code PrepperOne". This is not educational it is merely a sales vehicle. I have nothing against sales but I should not have to pay to listen to it. 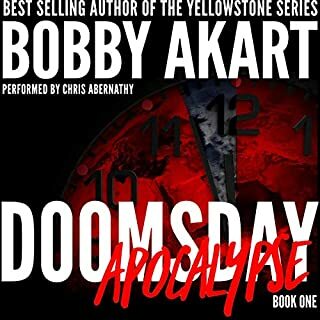 This should have been offered as a free audiobook for new preppers.